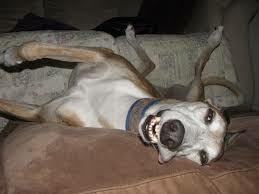 Some Greyhounds, when they are happy and excited, are prone to smiling. 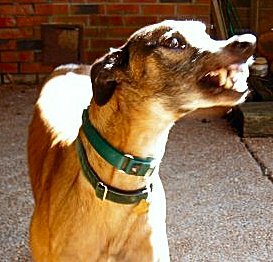 Unfortunately, some people misinterpret that show of teeth as intimidating and a sign of aggression. 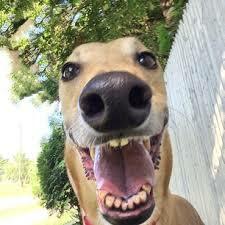 We owners understand this is the farthest thing from the truth and cherish our goofy Greyhound smiles.